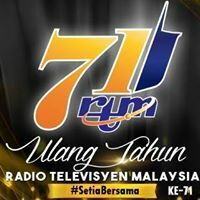 Music TV Channel / RTM TVi, also known as TVi is a digital television station in Malaysia owned and operated by the Radio Television Malaysia of the Malaysian federal government. TVi broadcasts for 24 hours a day since its re-launch in April 2011. TVi, specifically meant for Sabah and Sarawak, is an initiative by the federal government and the governments of the two states to bring about a deeper understanding of the people in the two territories. This would also help further promote the 1Malaysia concept among Malaysians, especially in the peninsular. TVi focusing programmes that highlight life in Sabah and Sarawak, culture and songs of the various ethnic groups in them, documentaries, history and plans in store for these two states.